Hello there, Captain. Are you looking to explore space? Want to conduct missions from the Space Station? Yes? How would you like to fly at warp speed? To mine asteroids for valuable space ore? Maybe even make some new alien friends? Brilliant! Step aboard and you will be on your way to explore the final frontier. Don't forget to pack your red shirt! Unless you were a space cowboy and flew 2 Inner Gravity Loops in a row to activate the Multiplier, and then you score a lot more! Each pair of Inner Gravity Loops will bump you up a Multiplier, max of a 6x. Hit all 3 green targets at the top: score 35K and add 5K to that number each subsequent time you hit all 3 (max 100K). Resets on lost ball. 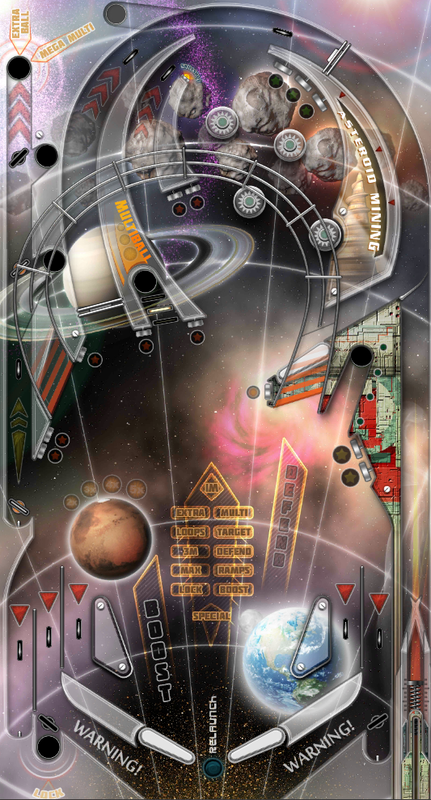 Set your phasers for something stronger than stun if you want to earn a multiball. One shield blocks the hole to start. Blast through it, then shoot the ball into the hole. Two more shields will pop up. Hit those shields until you get through. 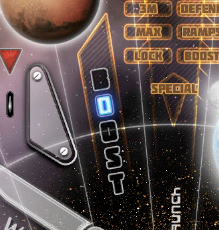 2x capture triggers the multiball. Activates the Space Station so that you can conduct Missions. Did you conduct the LOCK Mission to light up “LOCK” before exploring the outlane capture? 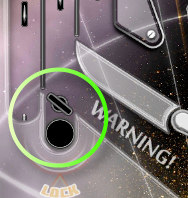 If the LOCK light is lit, the ball will lock in place on the capture. Otherwise, the ball is kicked back out. This isn’t an all expenses paid luxury cruise through space. You need to mine asteroids for ore, fill up the cargo hold (to 30%, 60% or 100%) and then sell the ore to fund your exploration. Keep an eye on the Mining Gauge to see the level of cargo you have mined. Increase the level by hitting Bumpers. Each time the ball makes an orbit around the Big Loop , a random Bumper’s status advances. Bumpers reset to lights off on lost ball. 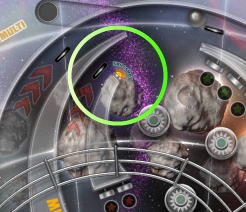 Capture the ball in any kickout hole in the Wormhole Cargo Lane to sell the mined cargo. The Mining Gauge resets on cargo sales or a lost ball. Score 100K points for a single loop. For consecutive loops, scores 100K-500K-900K-1.3M-1.7M-2M. Max 2M. 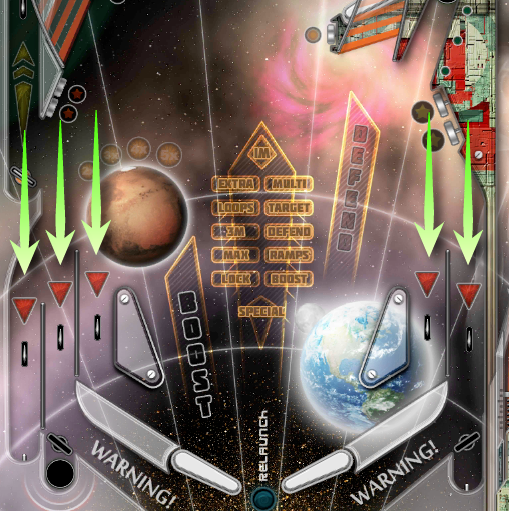 Two consecutive small loops bumps up your end-of-ball bonus multiplier. 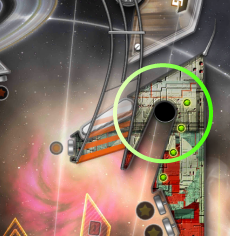 The Wormhole Cargo Lane is not just the marketplace to sell your cargo of ore, it is also a place to score lots of points. Want an extra ball or to play a mega multiball? Blast the ball into the top hole when the Extra Ball or Mega Multi lights are on. A capture in the lowest hole unlocks access to the next higher hole. 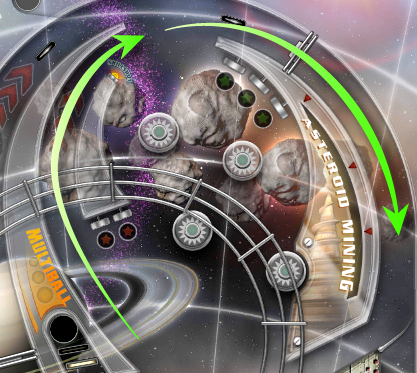 Fly through 10 ramps to open access to the pin and thrusters will move your ball at warp speed up the Cargo Lane. 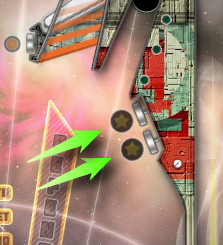 Score 150K if you hit the Wormhole Cargo Lane rollover but don’t manage a capture. Start the selected Mission with a capture in the Space Station when it is lit. “LOOP”: for 30 seconds the Inner Gravity Loop scores 400K and the Big Loop scores 250K. Completes at the end of the 30 seconds. “TARGET”: Lasts 30 seconds. Targets score 10x normal points. Hit 8 Targets before time expires to complete the Mission. “RAMPS”: Lasts 30 seconds. Hit 4 Ramps before time expires to complete the Mission. “EXTRA”: Light Extra Ball for the Wormhole Cargo Lane hole. 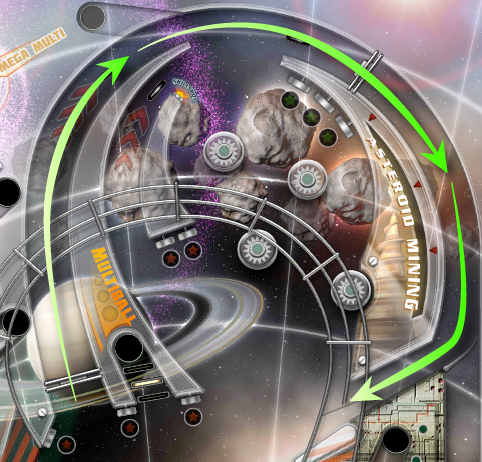 “MULTI”: Drops all the shields to the multiball capture, readying it for you to target. “DEFEND”: Lights the first unlit DEFEND letter. “BOOST”: Lights the first unlit BOOST letter. “MAX”: Advances all Bumpers to max state. 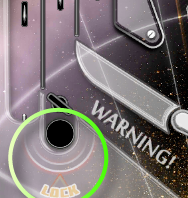 “LOCK”: Activates the LOCK for the Left Outlane Capture to lock your ball and release it on the loss of the current ball. Don’t forget, you can also light the first unlit letter if you complete the “Defend” Mission. You’ve triggered the minigame? Well careful what you wish for – now it’s you versus aliens and you have to defend the galaxy. Shoot down UFOs by hitting targets. It takes 3 Target hits to annihilate each UFO. Score 250K points for each UFO you eliminate. The alien onslaught lasts for 45 seconds, but you can add 5 seconds to your alien defense time with each Ramp you ride during the minigame.